The British Medical Association (BMA) has vowed to continue its fight after the government pledged to impose a new contract on thousands of junior doctors in England. The union said it would "consider all options", raising the possibility of further strikes in the battle over pay and conditions. Dr Johann Malawana, the BMA's junior doctor committee chairman, said: "The decision to impose a contract is a sign of total failure on the government's part." He accused health secretary Jeremy Hunt of "ploughing ahead with proposals that are fundamentally unfair" and warned that it had no plans just to accept the contract. He said: "The government's shambolic handling of this process from start to finish has totally alienated a generation of junior doctors – the hospital doctors and GPs of the future, and there is a real risk that some will vote with their feet. "Our message to the government is clear – junior doctors cannot and will not accept a contract that is bad for the future of patient care, the profession and the NHS as a whole, and we will consider all options open to us." One possibility is of further strike action while there are also suggestions of legal action. Some junior doctors may refuse to sign new contracts which are due to be implemented from August. In a statement to the Commons, Mr Hunt said the BMA had proved "unwilling" to show flexibility and compromise. He said that while junior doctors had shown dismay over the new contract, he remained certain it would eventually command the confidence of the profession. The major sticking point has been over weekend pay and whether Saturdays should attract extra "unsocial" payments. Currently, 7pm to 7am Monday to Friday and the whole of Saturday and Sunday attracts a premium rate of pay for junior doctors. But the government wants the Saturday day shift to be paid at a normal rate in return for a hike in basic pay. The BMA has rejected this and has urged Mr Hunt to accept its proposal to reduce the 11 per cent rise in basic pay offered by ministers and instead have better premium rates on Saturdays. The government drafted in Sir David Dalton – chief executive of Salford Royal NHS Foundation Trust – to broker a deal but the deadlock could not be broken. Mr Hunt told MPs that with the backing of major NHS groups including NHS Employers and NHS England, Sir David "has asked me to end the uncertainty for the service by proceeding with the introduction of a new contract that he and his colleagues consider both safer for patients and reasonable for junior doctors. "I have therefore today decided to do that." Mr Hunt said the new contract will mean an increase in basic salary of 13.5 per cent – higher than the previously stated 11 per cent – and that three quarters of doctors will see their take-home pay increase. No doctor working contracted hours would see a pay cut. Furthermore, the new contract would cut the maximum number of hours worked every week by junior doctors from 91 to 72. The maximum number of consecutive nights a doctor can work will also be cut from seven to four, while the maximum number of long days will also be reduced from seven to five. No doctor will ever be rostered subsequent weekends, Mr Hunt added. Under the new contract, 7am to 5pm on Saturdays will be regarded as a normal working day. Doctors working one in four or more Saturdays will receive a pay premium of 30 per cent. Mr Hunt said this was higher on average than that available for nurses, midwives, paramedics, fire officers and police officers. Mr Hunt added: "While I understand that this process has generated considerable dismay among junior doctors, I believe that the new contract we are introducing – shaped by David Dalton and with over 90 per cent of measures agreed by the BMA - is one that, in time, can command the confidence of both the workforce and their employers." He said there was an "overwhelming consensus" that the standard of weekend services is "too low with insufficient senior clinical decision makers. "The lessons of Mid Staffs, Morecambe Bay and Basildon in the last decade is that patients suffer when governments drag their feet on high hospital mortality rates, and this government is determined our NHS should offer the safest, highest quality care in the world." Mr Hunt also announced a review to examine junior doctors' morale, quality of life and wellbeing. Issues included placements a long way from home and inflexibility around annual leave. Welsh health and social services minister Mark Drakeford said England's doctors were welcome over the border. He said: "Junior doctors from any part of the UK interested in working in Wales will find fair working conditions and a very warm welcome here." Shadow health secretary Heidi Alexander told Mr Hunt: "You have failed to win the trust of the very people who keep our hospitals running and you have failed to convince the public of your grounds for change. "Imposing a contract is a sign of failure, it's about time you realised that." Mr Hunt said there was "significant" public support for the changes as he played down a poll which found two thirds of people thought he was to blame for the dispute. "If you ask voters whether they support doctors or those evil horrible politicians then unfortunately us evil horrible politicians normally lose out," he told BBC Radio 4's The World at One. "But if you ask in those same polls whether they think that the care at weekends needs to improve they say yes it does and you find significant numbers of the electorate also think that changing the contracts is an important way to do it." BMA council chairman Mark Porter said the move would be seen as "threatening and dictatorial" and warned nurses and other clinical staff to prepare for similar treatment. The government had chosen to send a message "that regardless of sense, logic and affordability, the government will manage by imposing new terms on the staff who already work weekends". Asked if there could be more strikes, he told the programme: "We are going to reflect on what it is our members want us to do." He went on: "I am accepting that the basis of the game has changed, in that the Government has taken this – what no doubt they see as decisive but which many in the NHS and the public sector will see as threatening and dictatorial – (step)." "Nurses and other clinical staff who work in the NHS will know now that essentially the government is coming for them. If the government is prepared to impose a contract on junior doctors, it'll be them next." It was hard to say if the enforced contract would accelerate the flow of British doctors becoming "refugees" in Australia and elsewhere, he said, but it seemed unlikely to persuade any to consider coming back. Labour leader Jeremy Corbyn, who surprised commentators by failing to raise Wednesday's strike with David Cameron during Prime Minister's Questions, said: "Jeremy Hunt's decision to impose a contract on junior doctors is provocative and damaging. "Rather than helping to resolve this difficult dispute, his action will only inflame it. "The BMA has continued to table proposals to settle the dispute. The fact that the health secretary is now simply trying to impose his will, rather than negotiate, demonstrates a lack of confidence in his own arguments. "We need to recognise the huge contribution junior doctors make and the years of training they go through to look after us. These are people dedicated to our health and our NHS." He said "the actions of the secretary of state himself" are keeping the dispute going. "More strikes now look likely. If that happens, it will be clear that the blame lies with the gvovernment, not the doctors. 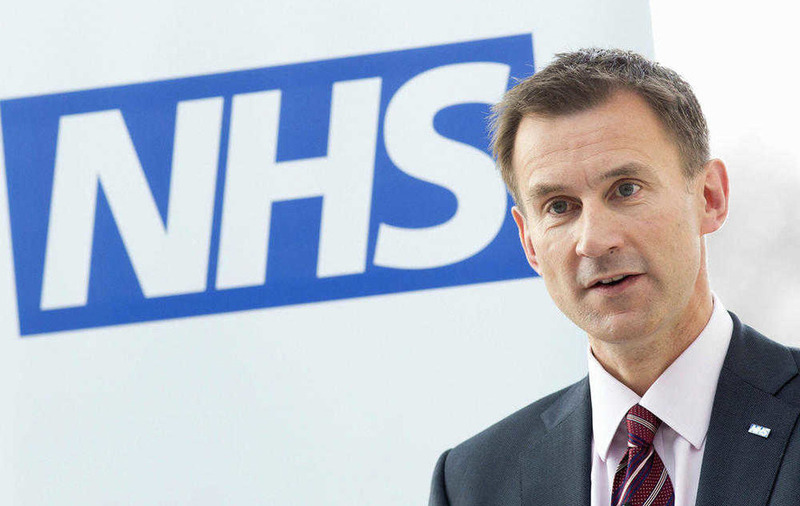 Even at this late stage, I appeal to Jeremy Hunt to go back and negotiate with the BMA."